Fortune Poker and its affiliate program are now closed. After almost 10 years online they closed in March 2013. This was one of the saddest poker room closures I’d experienced. 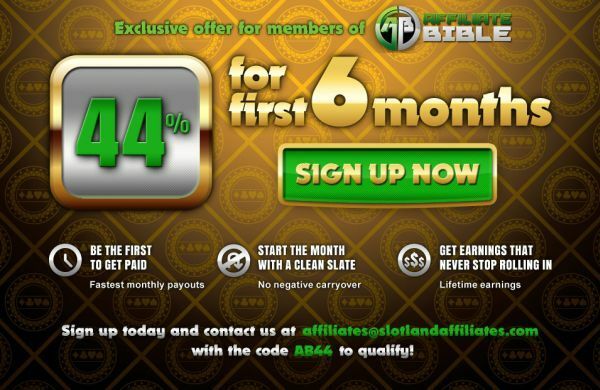 I was the first affiliate at Fortune Poker, at a time where affiliation was still in its infancy. I became great friends with the owner of Fortune Poker and helped coach him through the entire affiliate program process. He ended up being an excellent manager who understood that the main thing was to make the players happy. While things like the UIEGA impacted Fortune Poker, their main issue was the network they were on, the Boss Media Network. The Boss Media Network was one of the most clueless an mismanaged networks you will ever see and they had a huge list of issues. The rest of this review will remain online for archival purposes. Plus it’s one I like to go through and read when I am feeling nostalgic. I was Fortune Pokers first affiliate ever. In 2005 SportingBet closed their affiliate program. I had a large rakeback playerbase at SportingBet, and started looking for another room on the Boss Network to promote. I got in contact with 8 different poker rooms on the Boss Network. Fortune Poker was the easiest choice I ever made. The affiliate team there, Jen & James, are two of the best people I have ever worked with. The level of service they provide is incredible, both on an affiliate and player level. One of my favourite stories to tell: one of my players(and now WSOP bracelet winner Jason Somerville) had a serious issue where the Boss network wouldn’t let him deposit more than $10k in 24 hours. He was livid because he couldn’t play. James told him to go out, get the “most expensive steak dinner on me” that he could, and then come back. When he came back, the problem was fixed and James paid for his meal. That’s the level of service you can expect from Fortune Poker. The Boss network is not a network that affiliates are rushing to push and for good reason: some of the decisions they make are borderline retarded. However if you are looking at promoting on Boss, then I give my highest recommendations possible to promoting Fortune Poker. They’ll work with you to make sure your players are treated well, and will often reach out to players who aren’t playing on a personal level, to see what they can do to get them playing again. This includes promotions like free bankroll offers. Promoting Fortune will be one of the best decisions you ever make, and you’ll wish more affiliate managers were like Jen and James. Fortune Poker is the sole brand of “Fortune Poker Affiliates”. Fortune Poker allows the ability to offer rakeback to players, capped at 30%. Fortune Poker also offer a 200% to 1000EUR initial deposit bonus. On top of that, Fortune Poker share in all the promotions the Boss Network offers. These promotions include a 50,000EUR headhunter tournament, 100,000EUR in guaranteed tournaments, and a bad beat jackpot. Fortune Poker also do frequent reload bonuses, and offer an exclusive 10,000 EUR Rake Chase. The Fortune Poker website also offers a MyFortune area, where players who are tracked for rakeback can actually check their rakeback via FortunePoker.com. Fortune Poker also offers an online browser-based flash client, which means Mac players can play as well as Windows users. Fortune Poker offers both revenue share and rakeback. They currently do not offer CPA or Hybrid deals. All Affiliate Bible sub-affiliates who promote rakeback will receive an exclusive 12% revenue straight off the bat. Just sign up via the “Sign Up” button below then contact me with your username. Fortune Poker doesn’t accept players from the US or Canada, due to Boss Network restrictions. Currently, their website is only in English so it is best to promote mainly to the UK market. I’ve always marketed Fortune mainly due to the rakeback, as well as the fishyness of the players there. I still believe that the Boss Network without a doubt hosts the worst players possible, and that’s the best way to market it. Hell, I paid for my wedding thanks to the 7 Card Stud games there! They also have very enticing offers like rake races, reload bonuses, deposit bonuses, numerous freerolls, plus a lot of unique promotions. Fortune also offer satellite tournaments to the majority of European poker tournaments. Overall there is a wide variety of methods you can use to market to players, including games found at very few other rooms. The only real thing Fortune lacks is high stakes games. Fortune Poker does not accept players from the following countries: American Samoa, Guam, Northern Mariana, Puerto Rico, Turkey, United States of America, Virgin Islands, U.S., Myanmar, Canada, Cuba, Iraq, Italy, France, Cote Divore Ivory Coast, Laos, Liberia, Libya, Nauru, North Korea, Sudan, Syria, Palestine, Yemen, Eritrea, Afghanistan. Fortune Poker offers a downloadable Windows client, as well as a browser based client. This means that both Windows and Mac users are able to play at Fortune Poker. Fortune Poker mainly uses the Euro as it’s currency in all marketing banners. Q: What Network is Fortune Poker on? The Boss Network, also known as the IPN Poker Network. This article was written on December 4, 2006 however all articles are looked at on a monthly basis and updated to keep them relevant.